NDP Leader Jagmeet Singh announced Wednesday that he will run in the federal by-election in Burnaby South. If successful, winning this B.C. riding would allow Jagmeet Singh to overcome what is arguably one of his greatest hurdles to successful party leadership: not having a seat in the House of Commons. But winning a seat will not be easy. And even if Singh does win, it probably won’t be enough. In 2015, the newly-created Vancouver riding was won by NDP candidate Kennedy Stewart by a margin of just 547 votes over Adam Pankratz, the Liberal candidate. Because by-elections tend to suffer from low voter turnout, outcomes are even more volatile. With a tight historical margin and the added uncertainty caused by low turnout, securing an NDP victory will be far from simple. To make matters worse for Singh, both the Conservatives and Liberals are likely to run candidates in the by-election, thereby ignoring the convention of allowing a party leader to run uncontested. This may be motivated by the NDP’s 13 by-election losing streak, which makes keeping the party out of contention in 2019 a goal within reach for the Liberals and Conservatives. Especially for the Liberals – whose support is slipping – eliminating an alternative on the left and avoiding vote-splitting will be key in the lead-up to the 2019 election. By-elections differ from general elections in that they are fought primarily on local issues rather than national platforms. Voters also tend to vote with the local candidate in mind, instead of the party (or the party’s leader, if different from the candidate). Both of these realities are bad for Singh, whose popularity is low and whose link to the Burnaby South community is tenuous. According to the latest poll, Singh’s approval rate stands at 19 percent, lagging far behind both Trudeau and Scheer. This low approval rating will be especially hard to overcome in B.C., considering that part of Singh’s brand as a politician is his link to Toronto and Ontario (he is formerly a Member of Provincial Parliament and deputy leader of the NDP in the Ontario legislature). He has had little visibility in the Burnaby South community, and could be in serious trouble if the Liberals and Conservatives run strong community figures as candidates. This could lead to a repeat of what was seen in the recent Chicoutimi-Le Fjord by-election which left the NDP out of contention in a riding previously held by the party. Although the outlook may appear grim for Singh, he does have one main advantage over the opposition: he will be the only candidate opposed to the Trans-Mountain Pipeline Expansion. The pipeline actually ends in Burnaby, making Singh’s prospective riding a hub for pipeline protesters. Although 60 percent of British Columbians support the pipeline expansion project, support drops substantially in the Vancouver area to 50 percent. If Singh can keep the pipeline at the forefront of the by-election, he could have a real shot at winning the riding and finally making it to Parliament. However, even if Singh manages to win the Burnaby South riding, it may be too little, too late. It would represent just one by-election won compared to at least 13 lost since 2015, and would likely not be enough to re-energize a dejected caucus. Further fuelling sentiments of a falling party, several NDP MPs have resigned or announced that they won’t run for re-election in 2019, including prominent party members like Helene Lavardiere. Others fear that their bids will be unsuccessful as the party continues to slide in popularity, even in regions that were once strongholds. The NDP’s morale may simply be too bruised to be sufficiently uplifted by a win in Burnaby South. Not only has Singh struggled to unite his caucus around his leadership, but the NDP membership also appears uninspired. The party continues to struggle with low fundraising numbers and difficulty getting out the vote in by-elections. Although it’s unclear exactly how much of the NDP’s woes are Singh’s fault, his leadership has evidently been less than successful. 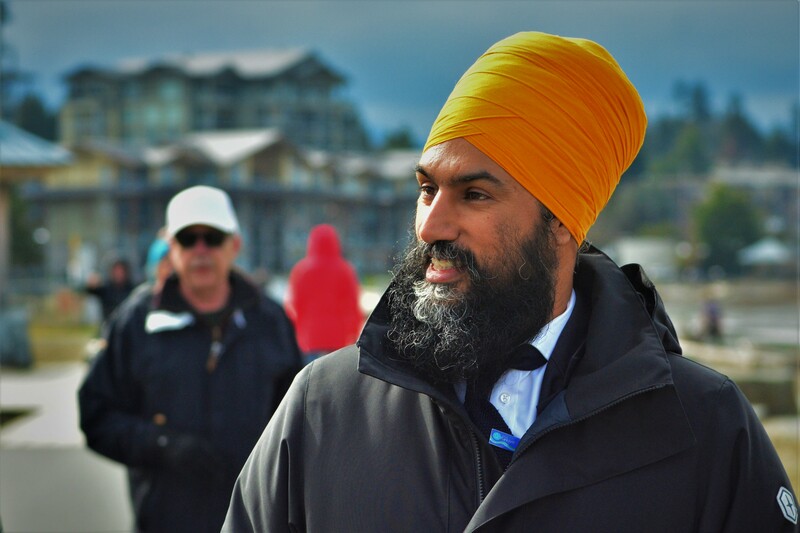 With the NDP in an apparent downfall, Singh’s bid in Burnaby South is too little, too late. The opinions expressed in this article are solely those of the author and they do not reflect the position of the McGill Journal of Political Studies or the Political Science Students’ Association. Feature image by Wayne Polk, via Flickr Creative Commons. What Happened to British Liberalism? Putin’s New Game of Chess: Russian Interference in Venezuela - MJPS on Pushed to the Brink: Ukraine at the End of Its Rope?